Curtis Auditorium, Cork School of Music, Union Quay. 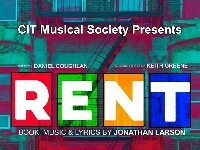 See CIT Musical Society Facbook Page for box office opening hours. Email us at musical@citsocieties.ie for more info!